A new, growing islet off Tokyo in the Pacific Island has connected to an older Japanese island. Volcanic activity on the landmass is still underway and continues to expand. On Thursday, officials confirmed the island was connected to Nishinoshima Island. This is part of the Ogasawara Islands, about 1,000 kilometers south of Tokyo. Fukashi Maeno, Associate Professor at Tokyo University’s Earthquake Research Institute, says the volcanic activity is vigorous. He says the red magma is rising. Maeno confirmed the landmass is connected to the older island. He says the islet is expected to expand as lava continues to gush out. The section connecting the two masses will also become larger. The distance between the two islets narrowed to some 10 meters as of Tuesday. The new islet, which first emerged as a spewing volcanic cone, is unlikely to be given a name as it will be regarded as part of Nishinoshima in the Ogasawara chain. 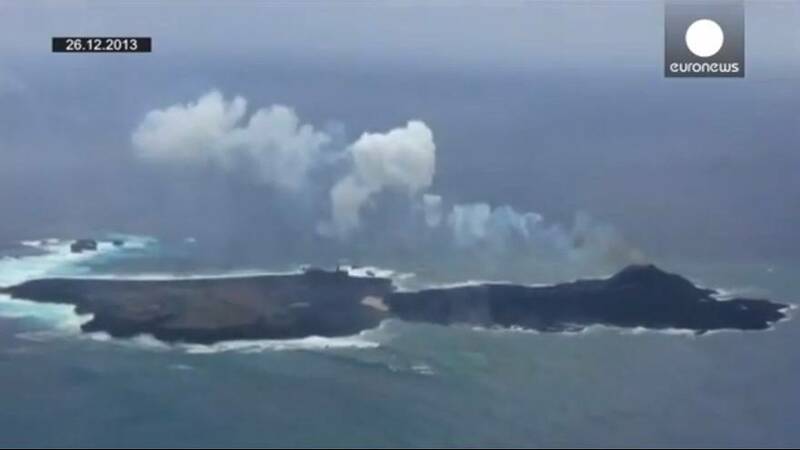 Aerial observations by the Coast Guard have revealed that the northwestern side of the new islet has joined with the south side of the Nishinoshima at two points. Between the points is a pool of murky seawater, according to the Coast Guard. Volcanic fumes some 100 meters high are being emitted by a crater on the island. Kenji Nogami, a professor at Tokyo Institute of Technology’s Volcanic Fluid Research Center who took part in the observation, said the volcano is highly active, with fumes and lava continuing to increase in amount. The Coast Guard confirmed the existence of the new islet on Nov. 20. Due to flowing lava, it had grown to 150,000 sq. meters of Tuesday from some 10,000 sq. meters on Nov. 21.